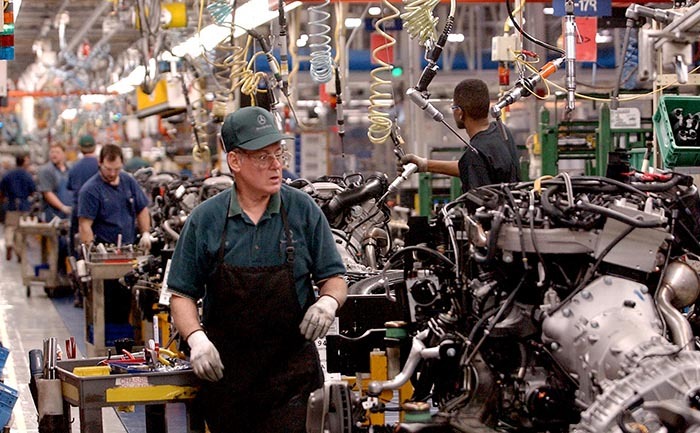 An employee works the line at the Mercedes-Benz plant in Vance, Tuscaloosa County, in this photo from 2002. The facility began operation in 1997 and underwent an expansion of nearly 3 million square feet in 2002. Courtesy of The Birmingham News; photo by Frank Couch. All rights reserved. Used with permission.